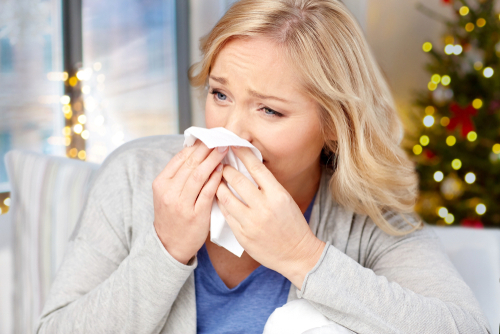 Christmas Tree, Evergreens and Pine Pollen Allergies? AllerCease™ easily treats these and all other environmental allergies. The good news is that there is a safe, proven, non-invasive, bioenergetic technique to eliminate any type of allergy. It’s called AllerCease™ . Dr. Cushing’s AllerCease™ technique is based mainly on quantum physics. Along with the known fact, that everything on this planet ultimately is pure energy and made up of vibrational frequencies. When two incompatible substances or atoms come into contact with one another, the result may cause disharmony or an adverse reaction of some nature, also known as allergies and hypersensitivities. For testing, AllerCease™uses a specialized kinesiology that pinpoints with laser-like accuracy the offending substances, even to the degree of reactivity. Unlike the traditional prick tests and blood tests used by the other medical professions to try to determine what a patient is allergic to, the AllerCease™ technique uses the body’s own neurological system to test for any substance on the planet. What does AllerCease™ testing check for? Allergic reactions are swiftly eliminated using a patented light device. This painlessly and non-invasively neutralizes the hypersensitive or allergic reaction to the substance by normalizing the body’s energy channels, along with, the immune and the nervous systems. Best of all, in most cases, this will take just one treatment to eliminate the patient’s allergic reaction. To find out how the AllerCease™ technique can change your life, and for more information about our clinics and other services, please call the Charlotte, NC office at (704)776-4185 or the Bunnell, Fl office at (386)437-4778.